A calm and professional service in the comfort of your own home giving you more choice in Veterinary treatments. Ivey Veterinary Acupuncture was set up by myself, Emma Ivey, following a desire to provide more options in the way in which we treat our animal companions. 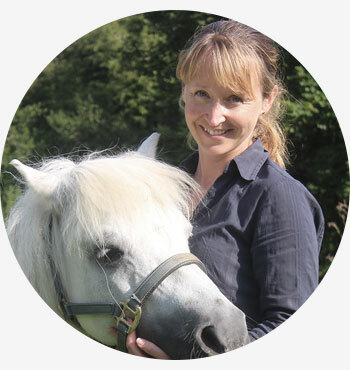 I qualified as a Vet in 2003 and after a period of working in general practice in Somerset, I settled in Cornwall concentrating on working with small animals. Whilst continuing to work in general practice I have recently felt we should be offering more alternatives to conventional therapies to be able to give our patients the best care possible. Acupuncture can be used as a stand alone treatment or, as a complementary treatment in conjunction with orthodox medicine with the ultimate aim of resolving or improving the management of the condition being treated. In 2016 I completed the ABVA Foundation Course in Veterinary Acupuncture and felt thoroughly inspired and convinced of the benefits of acupuncture for animals. It can be used in any species, for a wide range of conditions, is well tolerated and has minimal side-effects. I am pleased to now be able to work as a Veterinary Acupuncturist, visiting patients in their home environment. Acupuncture is thought to work better when an animal is relaxed, something that is easier to achieve at home rather than in the clinic surroundings. Working in this way also allows me to spend more time examining patients identifying problems that can otherwise be missed and help make sure our companions are as comfortable as possible. I am a practising member of the Royal College of Veterinary Surgeons and also a member of the Association of British Veterinary Acupuncturists. I provide Veterinary Acupuncture in Cornwall, am based in Godolphin Cross and work closely with a number of Veterinary Practices in the area. Find out information about where I travel to, how long an appointment will take, what my fees are, and how I work alongside your vet.